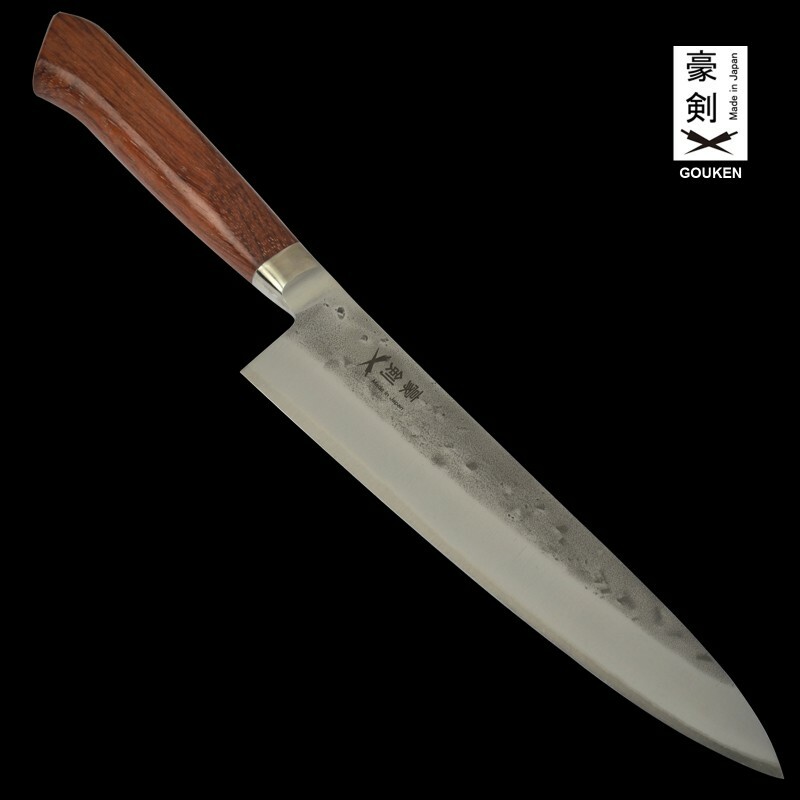 A Japanese chef's knife is known as a gyuto (牛刀 ぎゅうとう） gyūtō? ), literally meaning 'beef knife'. 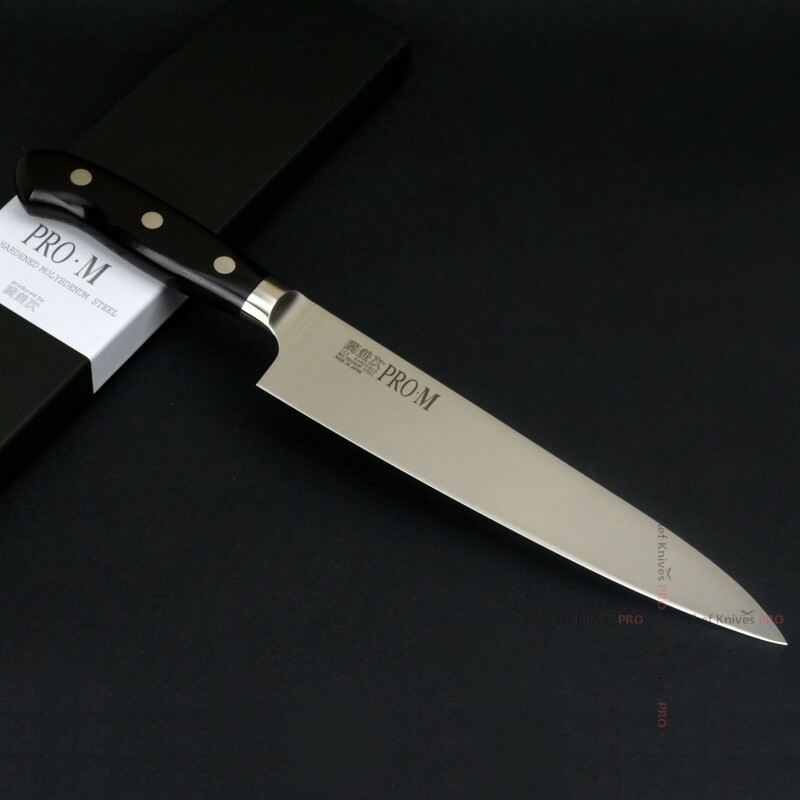 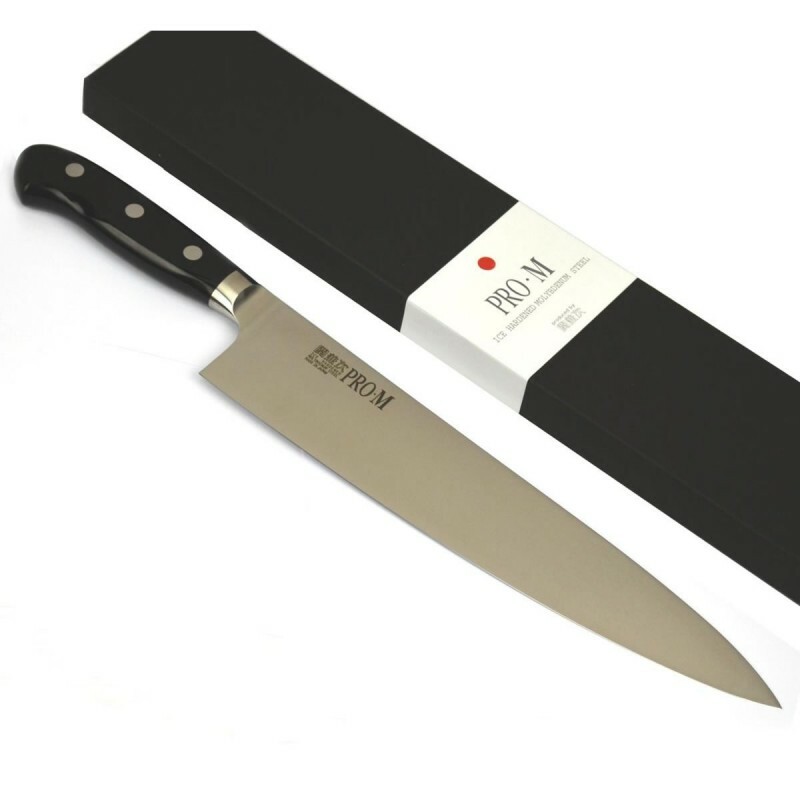 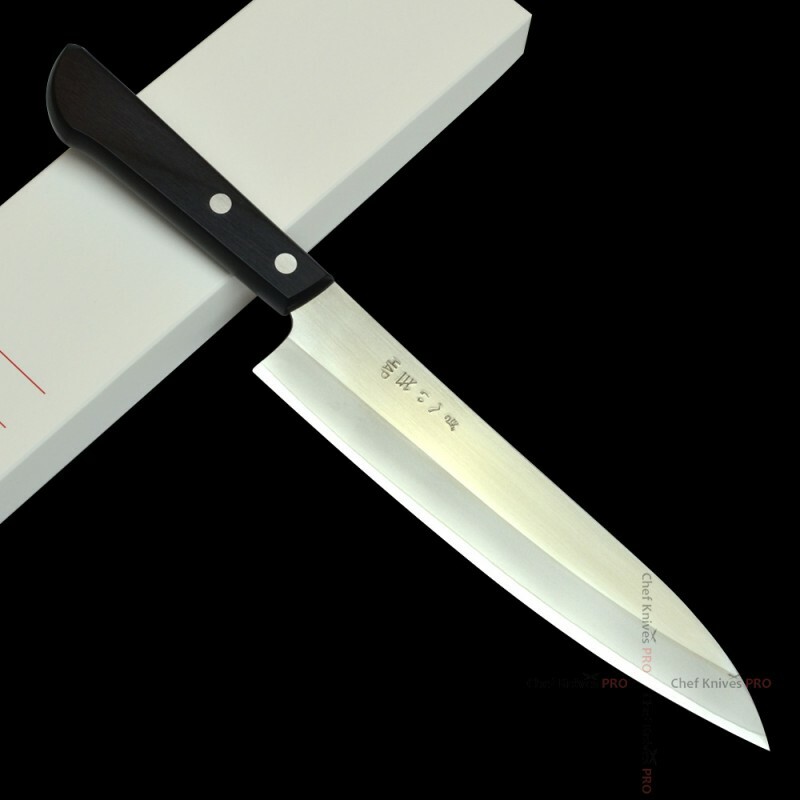 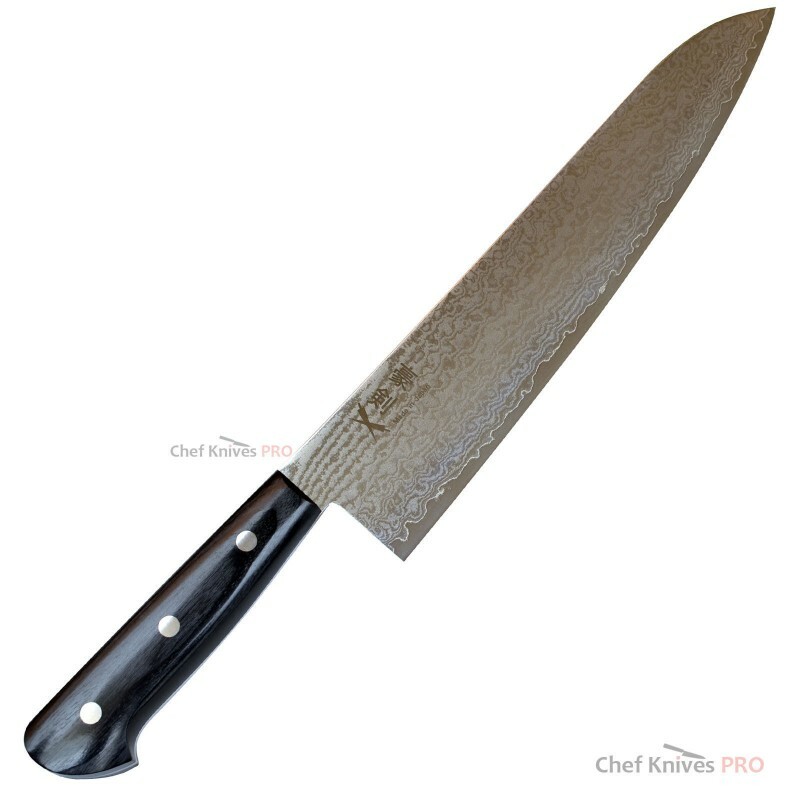 Its blade resembles a flatter version of a French chef's knife. 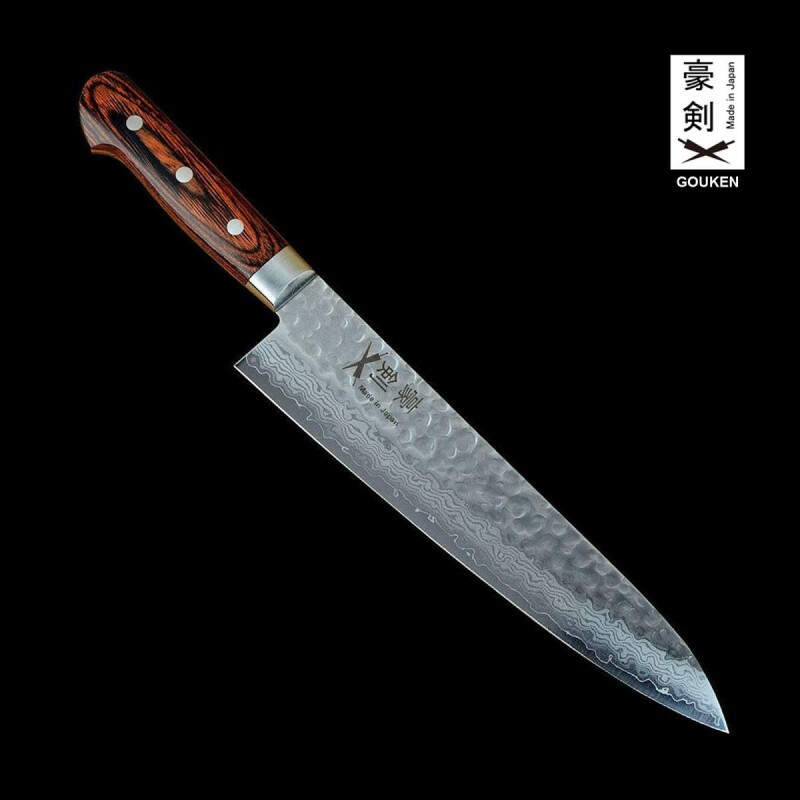 Japanese cutlery is known for sharpness due to its acute blade geometry, and the hardness of the steel used, sometimes exceeding 60 HRC on the Rockwell Scale A typical western chef's knife may be sharpened to an edge angle of 20-22°, while a Japanese gyuto generally has a sharper edge angle of 15-18° (or even lower), which requires a harder, more brittle grade of steel. 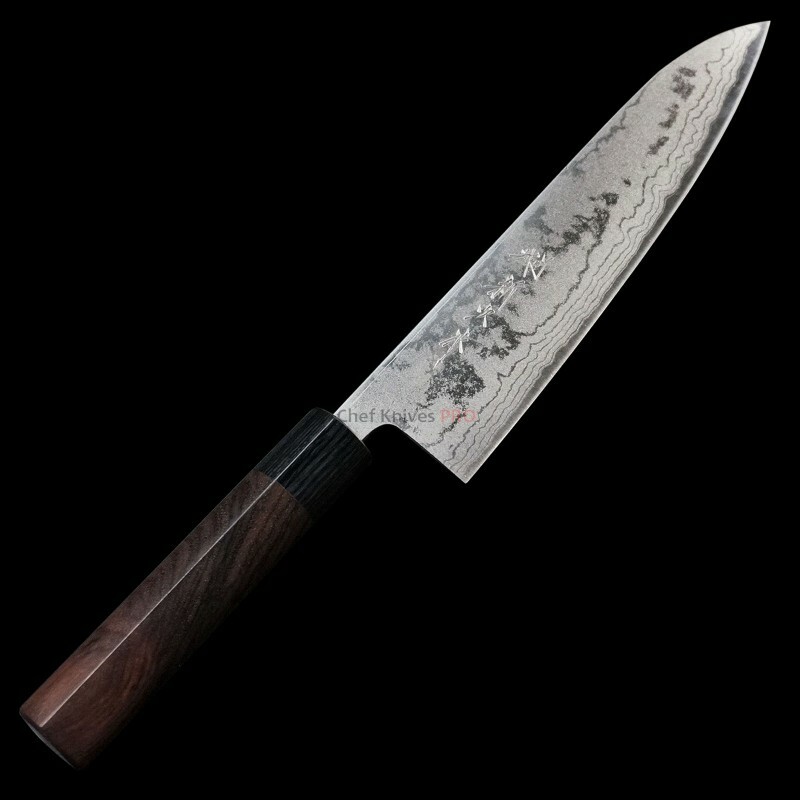 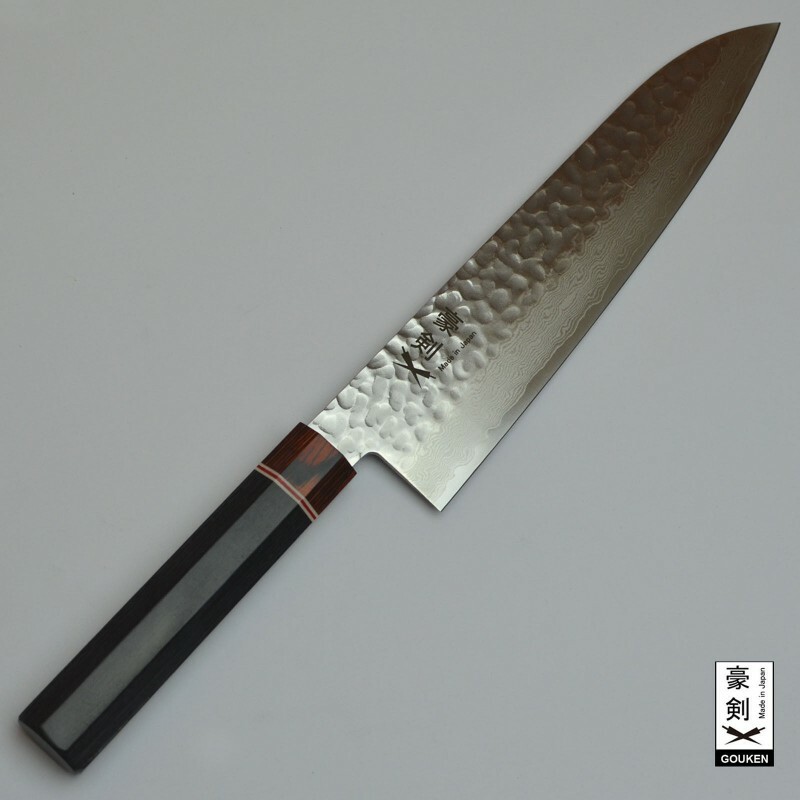 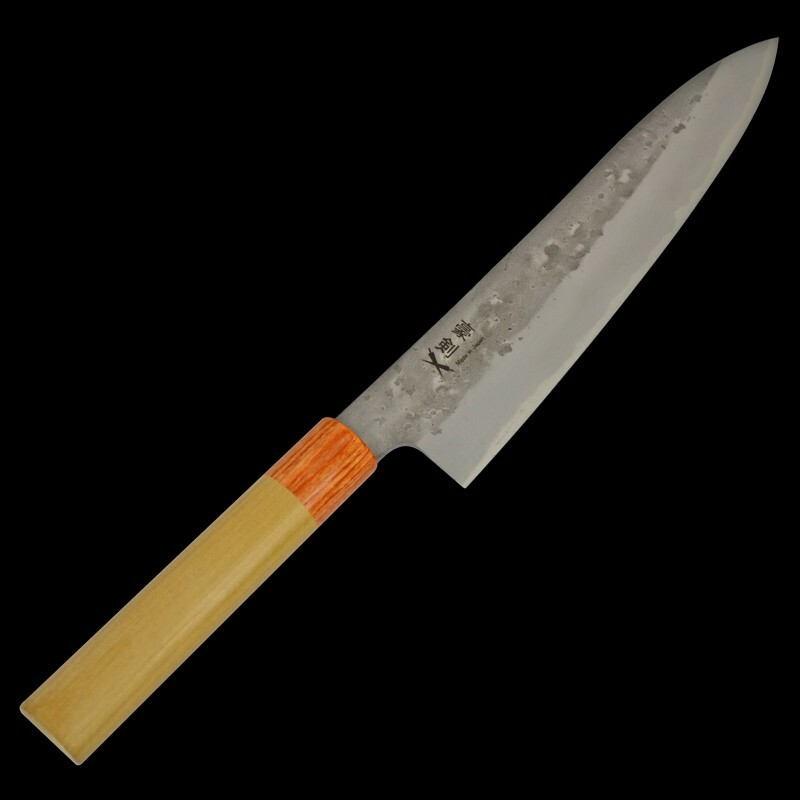 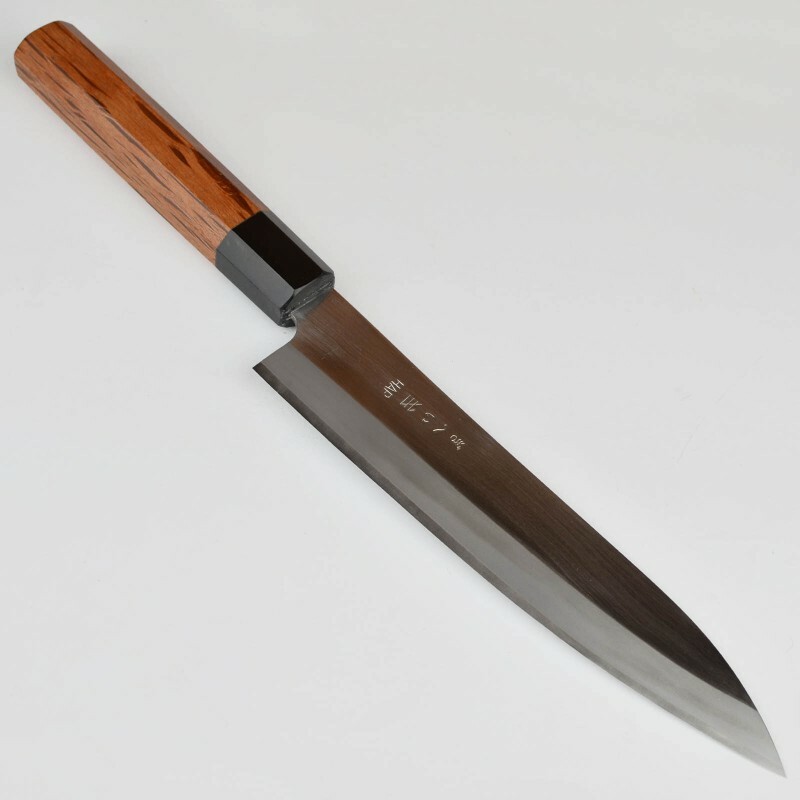 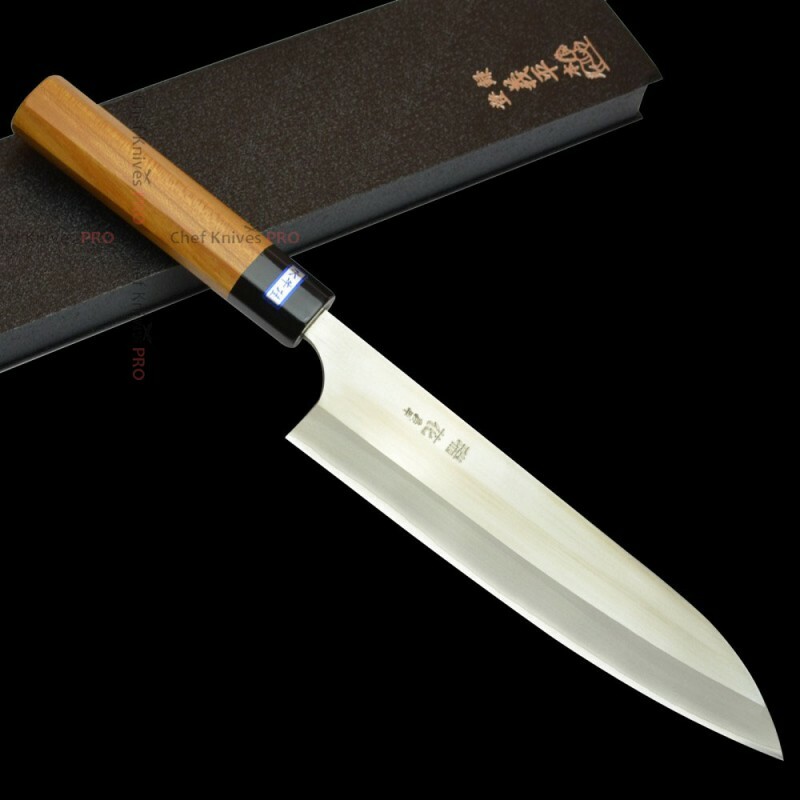 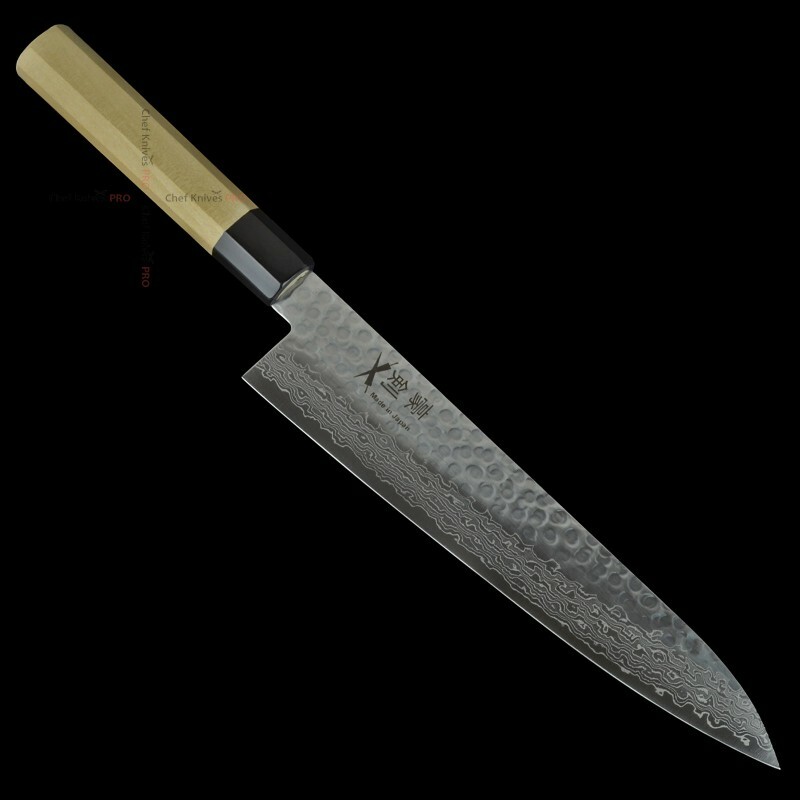 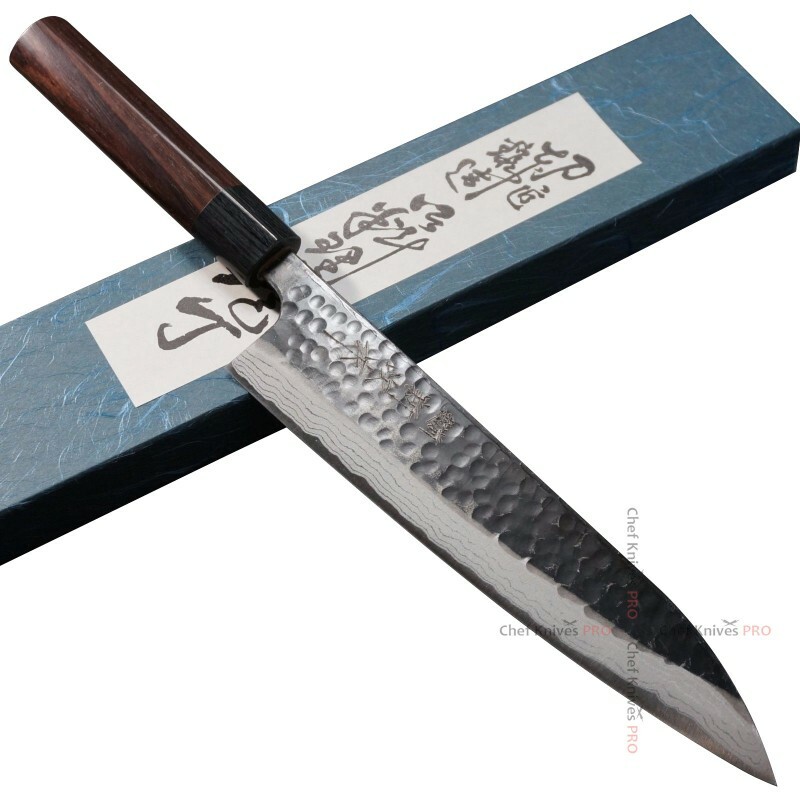 In recent years Japanese gyuto have gained in popularity with western chefs.